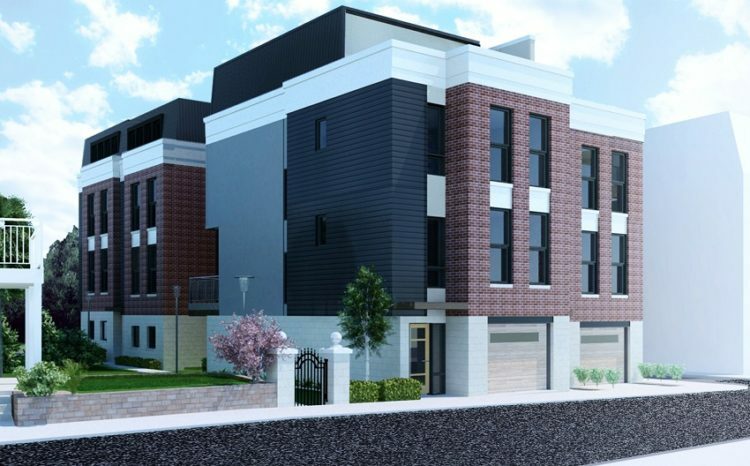 Lola Square, four townhomes at Charlotte Street and Mulberry Way, will be priced at more than $600,000. 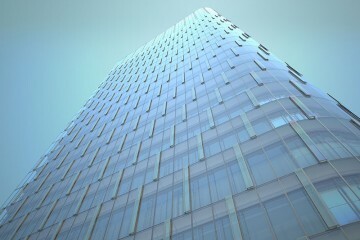 Rendering courtesy of Dunn and Associates. Lawrenceville, the working-class neighborhood that became a mecca for young professionals, has three new construction projects on the horizon — The Wainwright, Lola Square and Carlton Court — that offer condominiums and townhomes ranging in price from $275,000 to $659,000. The Wainwright’s one-bedroom units sell for $275,000, while the most expensive layout — a two-bedroom, top floor corner unit with a den and balcony — is priced at $409,000. Designed by JMAC Architects and built by Irwin M. Fletcher, L.P. (Anthony Dolan, Alphabet City’s president, is managing partner), the red brick building has commercial tenants on its first floor: Burgh’ers, Waxing the City and Disappearing Ink. “We’re getting so much interest. We think this is going to be a big success,” says Lori Hummel, a Howard Hanna agent marketing these condos, located at 3607 Butler St. They offer a LERTA tax abatement of city and school taxes on the first $250,000 of assessed value for the next eight years. Among the buyers? A graduate student moving to Pittsburgh and a pharmacist. These projects, like so many others recently, are drawing attention among these higher-income buyers hungry for a Lawrenceville home. A number of units in these three developments have sold, real estate agents say, and some aren’t even built yet. At the same time, members of Lawrenceville’s community are questioning the impact of three new luxury developments. 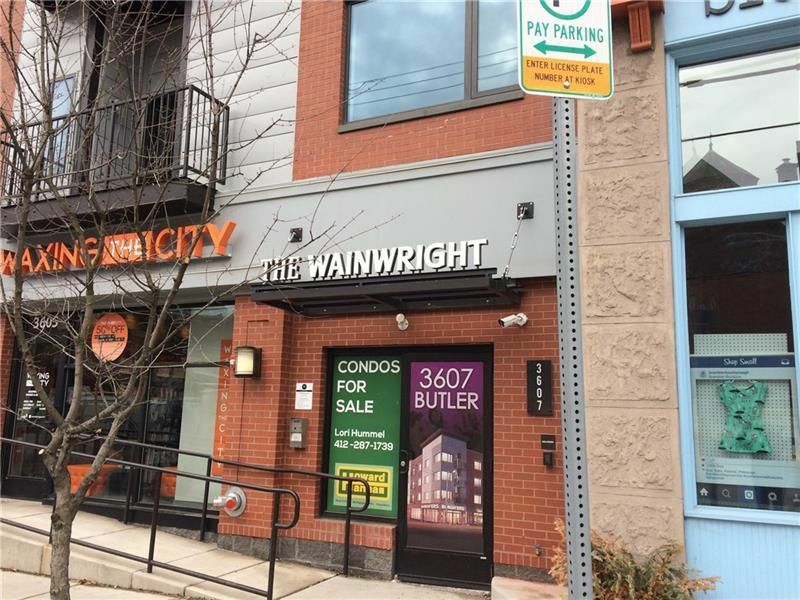 The Wainwright has condos ranging from $275,000 to $409,000. Photo courtesy of Howard Hanna Real Estate Services. New construction has become part of the trend in Lawrenceville, where renovations of older homes also continue. Renovations over the past decade changed the long, narrow neighborhood along the Allegheny River from a place where millworkers raised their families and grew old in their homes, to one that attracts doctors, tech and robotics workers and other young professionals. With quick access to Pittsburgh’s hospitals and Downtown, Lawrenceville is easy to sell to homebuyers seeking a walkable neighborhood that has restaurants, shops and an art scene. It’s become a vastly different neighborhood in the 15 years since row houses were selling for $30,000, and sometimes less. Developers do say they’re focused on blending new construction in with the existing architecture in the neighborhood. That was a consideration in the planning of Lola Square. Co-developers Icon Development and A. Martini & Co. will break ground in 30 days on this set of four townhomes at Charlotte Street and Mulberry Way near 37th Street, says Sarah Madia, a RE/MAX Select Realty agent who built her home in Lawrenceville six years ago. The architect, Dunn and Associates, mixed brick into the exterior design so the buildings will fit with the neighborhood. “We want it to look classic within 20 years,” says Madia. 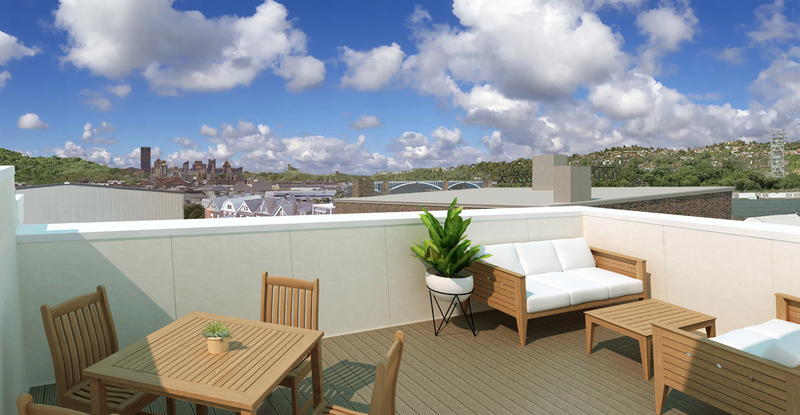 The rooftop deck at Lola Square will have city views. Rendering courtesy Dunn and Associates. The development team for Lola Square also includes i2Advisor’s. Priced from $609,000 to $659,000, these homes will have three bedrooms, three-and-a-half baths, two-car garages, and rooftop decks — all aspects that people want in new construction, she says. They’ll be wider than most homes in Lawrenceville, where skinny buildings rule, and they’ll be attached like duplexes. Having only one shared wall will allow for many windows and natural light. 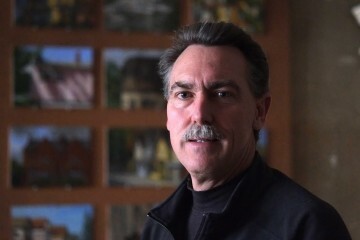 He’s aware of the need to be cautious about gentrifying some of Pittsburgh’s neighborhoods, he says, but notes that developers are providing what people moving to the city desire. 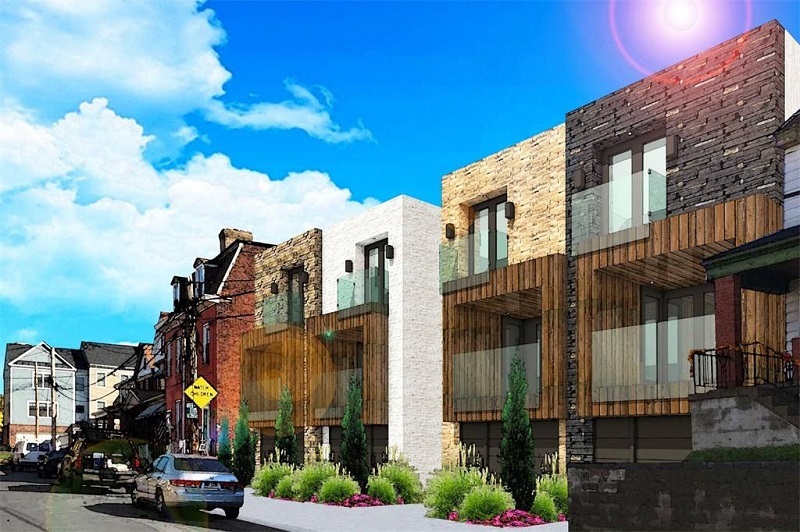 Like the condos, the new townhomes in Lawrenceville qualify for a tax abatement for 10 years. That includes another new project: Wylie Holdings (Joe Edelstein and Ron King), one of the largest stakeholders in Lawrenceville with hundreds of properties, and Penn Pioneer (Mark Fichtner and Aaron Chaney) are developing Carlton Court — four custom townhomes at 46th and Carlton streets, also with three bedrooms, three-and-a-half baths, two-car garages and rooftop decks. Carlton Court townhomes will have backyards with two-tier patios. Rendering courtesy Justin Cipriani. These homes, designed by architect Justin Cipriani and starting at $595,000, will include a two-tier patio and backyard, says Michelle Sager, an agent with Albert Anthony Real Estate. The builder, Regis Makowski with Shape Development Group, will break ground April 30 and expects to complete construction in December.